Inter Auto Service is fully committed to making your collision repair experience as stress free as possible. Whether you visit Inter Auto Service by appointment or by simply dropping by, you will be greeted by a friendly and knowledgeable associate that will answer any questions you may have and initiate the collision repair process should you choose to do so. Inter Auto Service’s reputation for integrity, repair quality and customer satisfaction has enabled us to establish professional working relationships with virtually all auto insurers. This allows us to expedite your vehicle’s collision repair without the delays typically associated with insurer-collision repairer inspections and negotiations. While no collision repairer is “perfect” all the time, should Inter Auto Service ever fall short of your service expectations or our commitments, we will promptly and professionally address any concern that you may have. 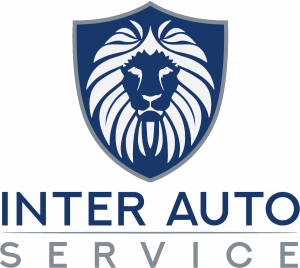 Our goal is to meet or exceed the service expectations of every customer who chooses Inter Auto Service for their vehicle repair needs. Inter Auto Service can aid you in making the Towing or Rental arrangements you require – just let us know your needs and we’ll assist you in securing a qualified Tow or Car Rental Service. Inter Auto Service will tailor the frequency and method of updating you on your vehicle’s repair status based on your requirements – you choose phone, text or e-mail, whichever works best for you. All Inter Auto Service customers will have the opportunity to post an uncensored review of our service and repair quality. And you can see what our customers are saying about google or www.carwise.com.